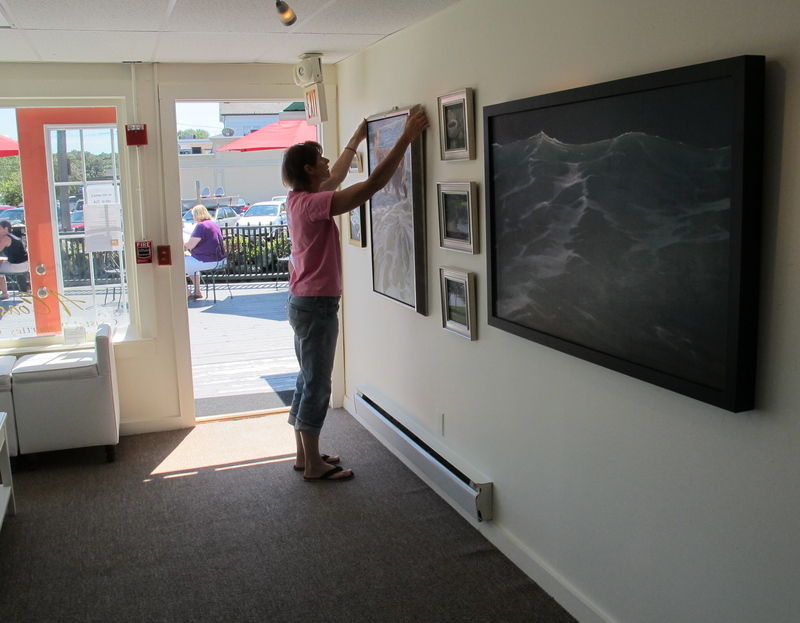 My paintings are now up at the Coastal Living Gallery in Wickford RI . It’s a small gallery at the end of a pier and I’m sharing the space with Walter Scott, a realist painter who paints local waterfront scenes. His work is quite nice. Usually Walter is there manning the gallery but I’ll be at the gallery on weekends and occasional week days during the month of August. I plan on painting pieces for the children’s book I’m working on there in between visitors. The opening is this coming Tuesday. Hope you can stop by sometime!